Piaggio Aerospace, a leading Italian aircraft manufacturer active in the business and defense & security sectors, today announced a suite of new customer service solutions for its P.180 Avanti aircraft family, at NBAA-BACE in Las Vegas (October 10-12, 2017). Forward Wing Care Program for global clients – Forward Wing Care is a new optional per-flight-hour program specifically designed for the Avanti EVO factory-new aircraft providing long-term comprehensive airframe maintenance support and expanded parts coverage at competitive rates. For new deliveries, this five-year support solution ideally complements the warranty coverage offered by Piaggio Aerospace and its partners. Customers enrolling in the Forward Wing Care program will benefit from skilled labour coverage on scheduled airframe inspections, troubleshooting, unscheduled component replacements, and servicing to be carried out at Piaggio Aerospace’s Authorized Service Centers. With Forward Wing Care, the customer is buying budgeting peace of mind, with value added to protect the investment in the aircraft as an asset. 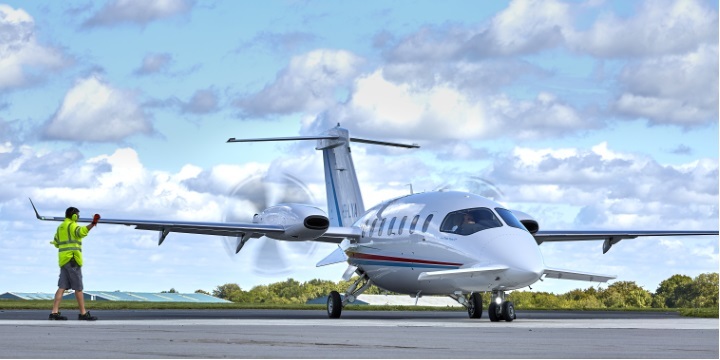 Inventory upgrade for faster delivery in the US – As part of a wider commitment to strengthen the aftermarket support in the US, an additional inventory is being gradually positioned at Piaggio Aerospace’s parts distribution center in Fort Lauderdale, Florida. The facility currently houses more than 16,500 parts for all P.180 Avanti models and the inventory is steadily increasing with right-sizing expected to be accomplished in 2018. The inventory is cleared through customs into the US, resulting in faster delivery and fewer fees for customers. Collaboration with Constant Aviation – As an additional element of support for customers in the US, especially for those situations where the P.180 aircraft may be in need of maintenance in a location distant from their local Service Center, Piaggio Aerospace and Constant Aviation are working to develop a coordinated AOG (aircraft on ground) support network, taking advantage of the numerous mobile intervention teams which are already available across the US. Such capability, to be in place early next year, will represent a strong complement to the support of the existing Piaggio Authorized Service Centers, currently providing scheduled and unscheduled maintenance. The NBAA-BACE is the world’s largest business aviation event, bringing together business leaders and government officials for a total of 27,000 industry professionals representing 96 countries. Piaggio Aerospace is present at stand C11920 and displays one of its Avanti EVO aircraft in the static area at position IS_7. Avanti EVO is its state-of-the-art business aviation product.